In the start of 2019, one of the most notable offerings which Xiaomi launched for the buyers was not a smartphone but a new TV and a Soundbar. Although we know that the Mi TV 4X Pro is a fantastic expansion of Xiaomi’s TV line-up, the new Soundbar by Xiaomi is another brilliant product on its own. 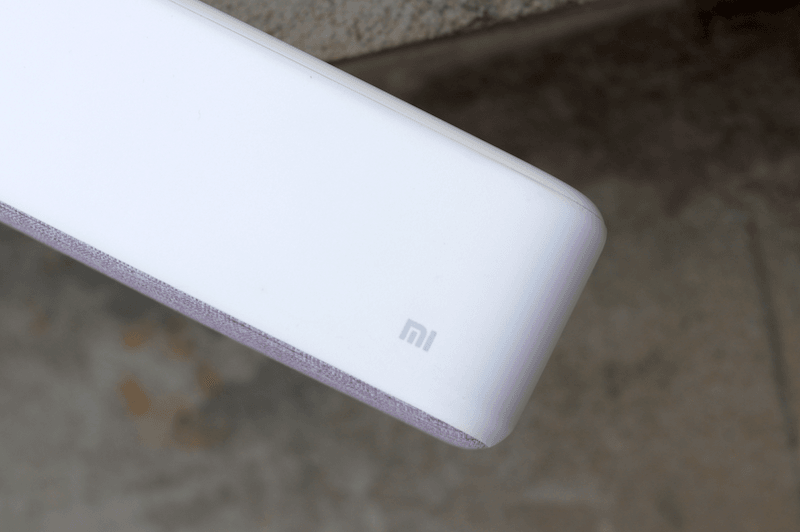 Unlike what many people would believe, that the Xiaomi Soundbar is only compatible with Xiaomi device, this new product is so versatile that it will notch up the audio experience of anything you connect with it. We decided to test the product and put it through long usage to see whether it is well worth the price and we were positively surprised. When it comes to design, it is safe to say that the Mi Soundbar doesn’t fall short at all. The soundbar has been designed with a mix of fabric and plastic, and it comes in a white shade which makes it easily blend in with the setting. The Mi Soundbar has also been specially crafted to complement the Xiaomi eco-system, on top of that, it also allows the users to have the option of either mounting it on a wall or placing it on a flat surface. There is also no lack of connectivity options with the new Mi Soundbar. If you use an older TV model, then you can use the Mi Soundbar to connect with a line-in port. If not, then there is also the option of an S/PDIF port as well as an optical connection for more recent TV models. Like it is the case with everything else, there are also a few drawbacks to the Xiaomi Soundbar, and they include the absence of HDMI input and ARC functionality. If you don’t know, then ARC stands for Audio Return Channel, which enables the users to easily route their audio from multiple devices through a single HDMI cable. The Soundbar is also capable of connecting with other devices over Bluetooth, but it will connect only with a single device at one time. 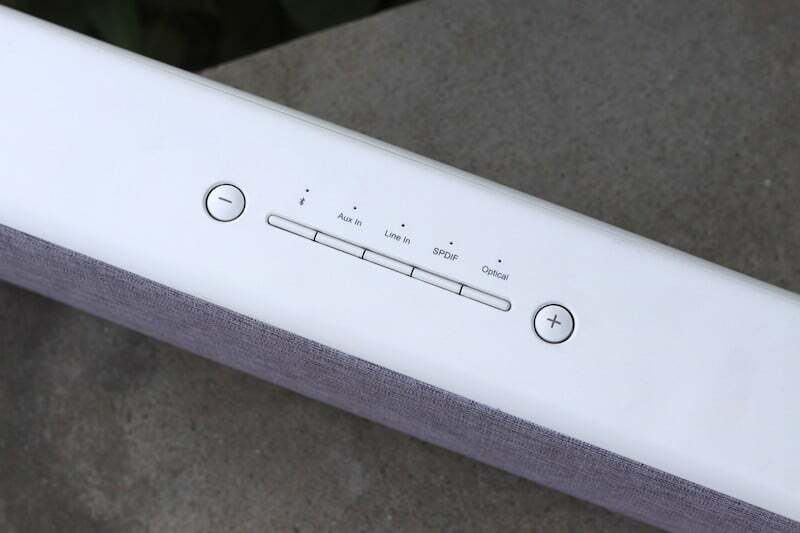 Another thing to note is that to bring down the price of Xiaomi Mi Soundbar, the company had to cut down on some functionalities which means that the soundbar comes with no-remote meaning that you will have to touch the soundbar and reach out to it to adjust volume levels and change the input mode. This is one thing which Xiaomi can improve on its next iteration of the Mi Soundbar. Before we talk about the sound quality of the Mi Soundbar, it is essential to know that the Mi Soundbar features eight drivers, including two 20mm dome tweeters, two 2.5-inch woofers and four passive radiators which operate between the frequency of 50Hz to 25,000Hz. Only in 60-70% volume levels, the Soundbar appropriately fills the room, and there is also no static or noise observed while watching movies or listening to any other audio. Since the soundbar has a wide design, it covers much of the room as well. So in case you are sitting on the side of the speaker, then the Soundbar will do no injustice in delivering the audio. Summarising, the Mi Soundbar comes with a price tag of Rs 4,999, and at this price, it is a steal deal. In a quick comparison with the competing soundbars in the same range, it is not tough to observe that the Mi Soundbar blows the competition out of the water. There is no doubt that this audio device surely packs a lot of value and punch and is easily the best soundbar in the respective price range. No HDMI input is a deal breaker.